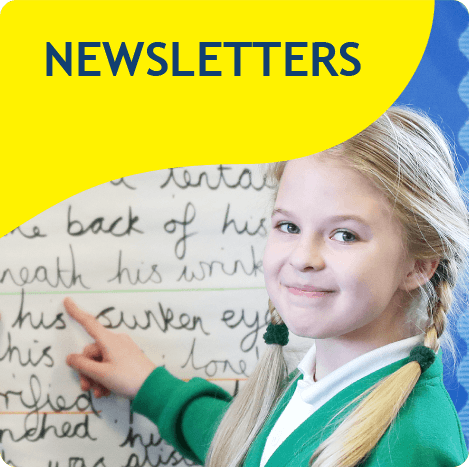 School starts everyday with No – Nonsense Spelling, Guided Reading and then English. After playtime we have a daily maths lesson. In the afternoon we have topic. At the moment we are learning about The Vikings. (Please see our Topic Map to find out what we are learning) We also do Music, Computing, Science, PE, R.E, PSHCE and Big Maths. Our P.E. days are Mondays and Tuesday’s. 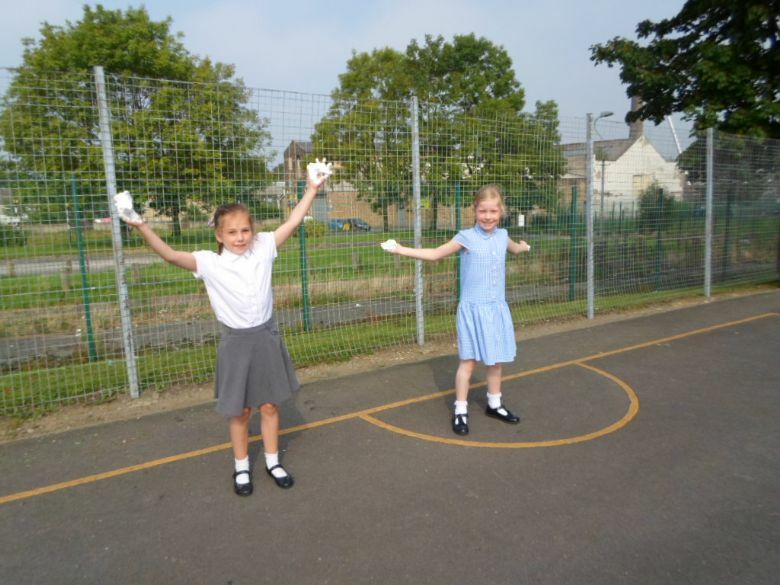 All PE kit should be kept in school. Please note all earrings need to be removed or covered with a plaster. 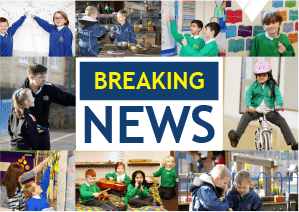 Homework is handed out on Thursdays and has to be completed and brought back into school by the following Tuesday. 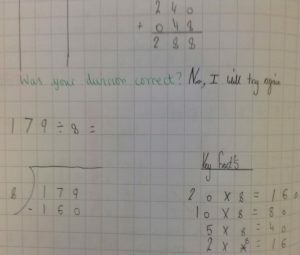 It includes some timetables practise, some sentence work and talking homework. 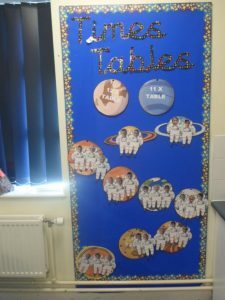 We are encouraging our children to become more independent in class. 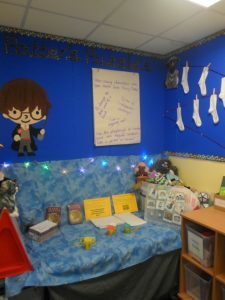 The children have all the tools they need to become more independent, like our Working Walls and their our toolboxes (trays) We have a Harry Potter themed challenge area and reading corner, which the children love to use. 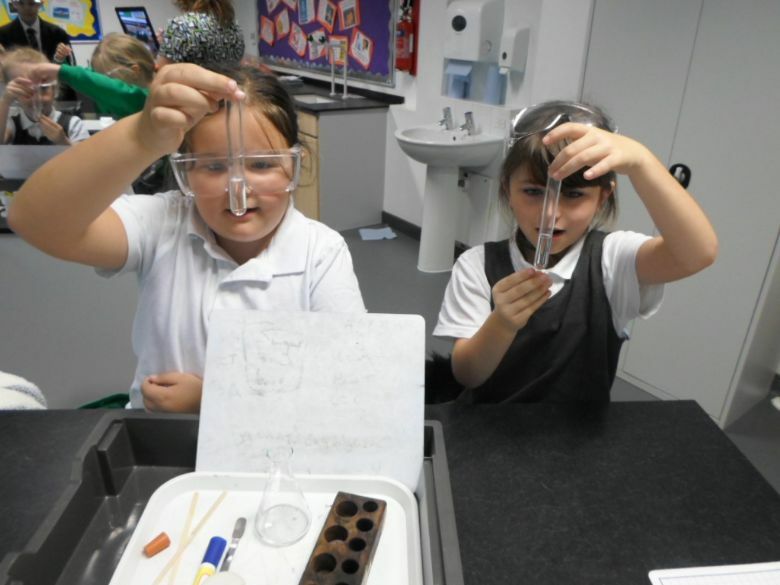 We have loved investigating States Of Matter through ‘Messy Science’ The children have been thinking about what is a solid, liquid and gas and thinking about their properties. 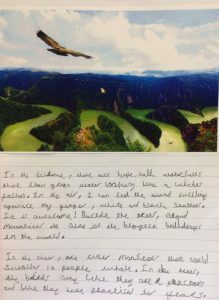 We have been creating wonderful illustrations using character descriptions from Harry Potter. 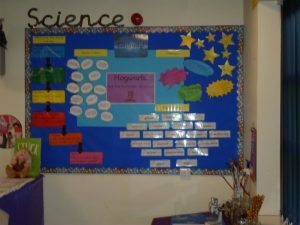 We have been writing our own explanations of different inventions by Wallace and Gromit, in particular, The Snoozatron, which I’m sure the children will love to show you. We have been making mindmaps of our own notes after watching different video clips and reading different books about The Anglo-Saxons and The Vikings. 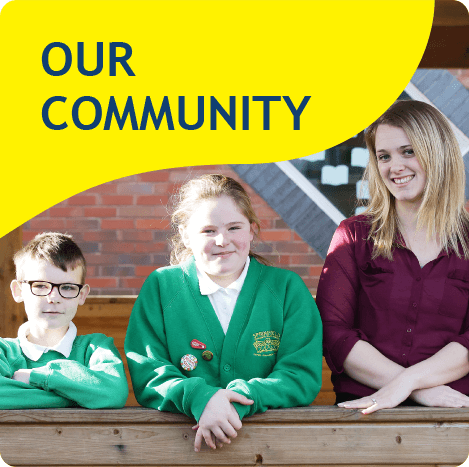 We have already had two children on Gold for outstanding achievement outside of school and two other’s on Gold for wonderful classroom behaviour. We are very proud! Hogwarts went to Towneley Park to look at the changes that Autumn brings. 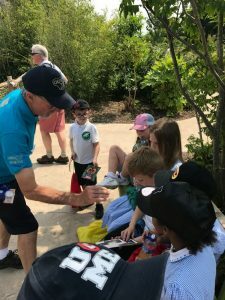 The children buddyed up to walk to and from the park. They collected lots of different leaves, seeds and other interesting pieces to use in Art. The children particularly enjoyed conker picking and were fascinated by what they looked like on the trees. 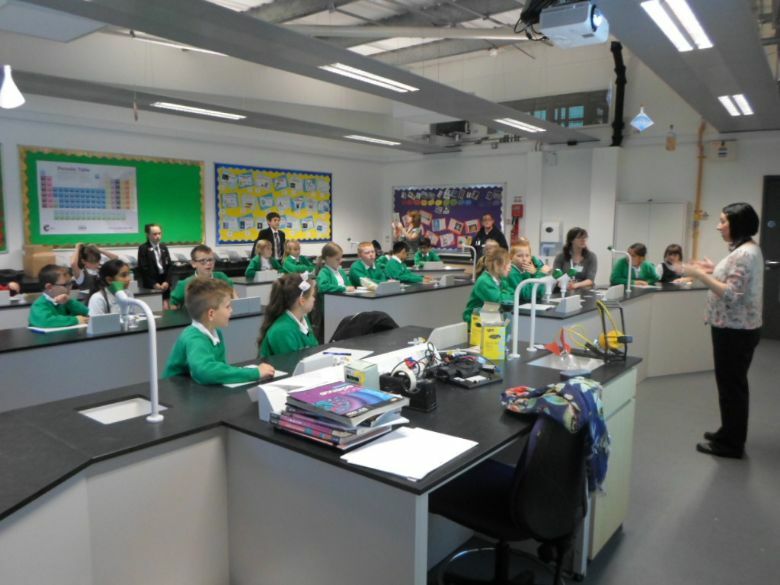 On Thursday 20th October Hogwarts went to Unity College for an afternoon in the science lab with Mrs Oakley and two students in year 9. 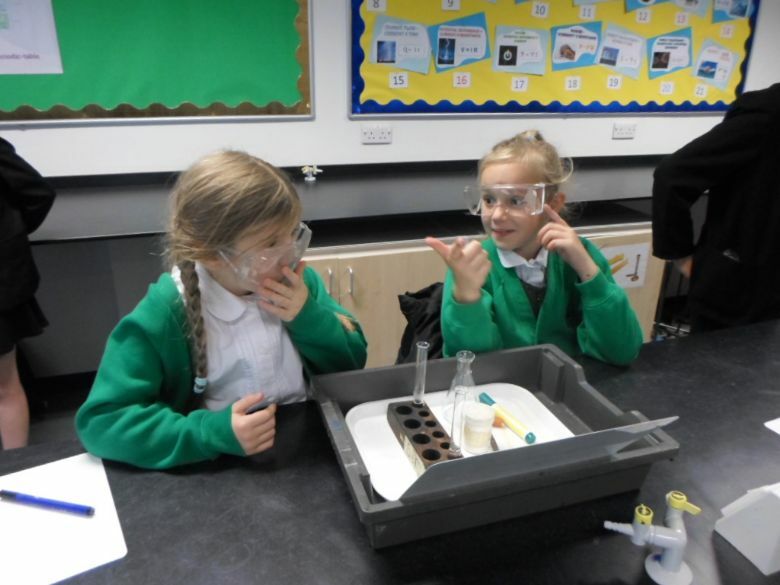 We carried out 4 experiments with lots of help! The first one was watching the hydrogen rocket shoot into the air. 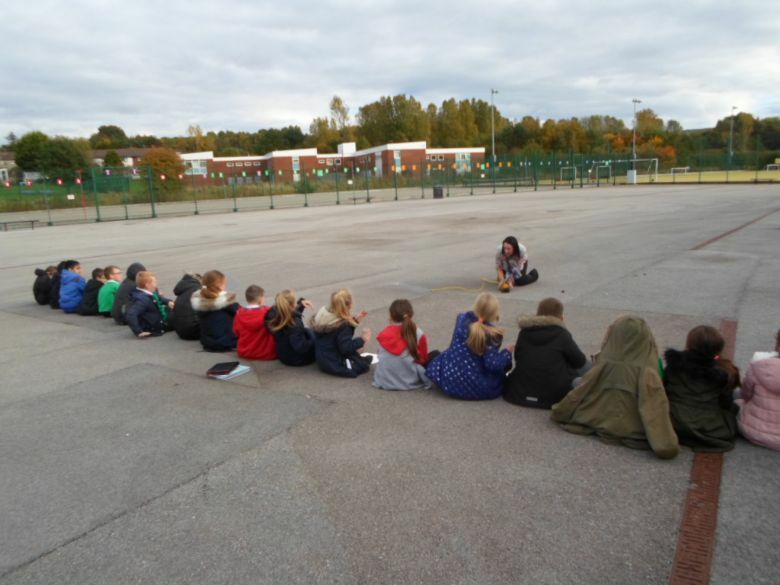 The children were delighted with how far it went! The next experiment was in the science lab. 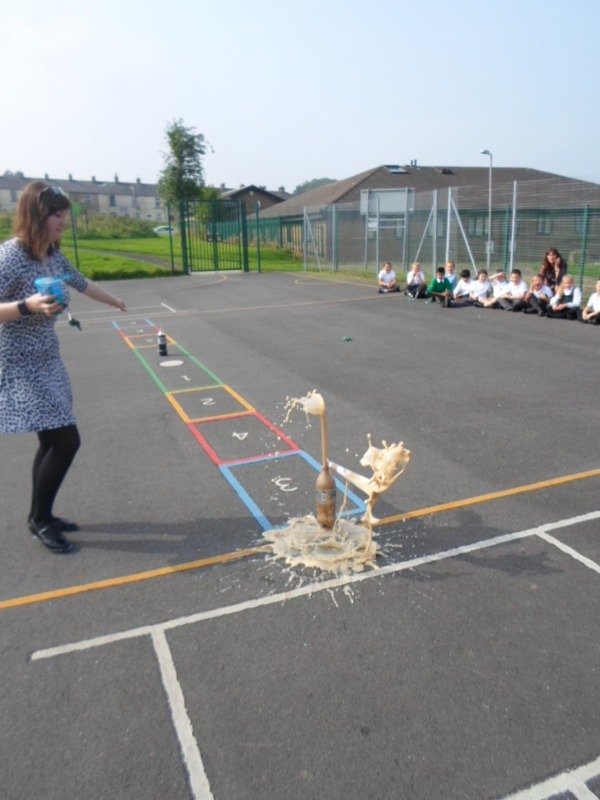 We watched the reaction between a liquid and a solid and saw that it bubbled! Next we blew up a balloon, without touching it and we made the solution go ‘pop’ afterwards using a flame and a splint. 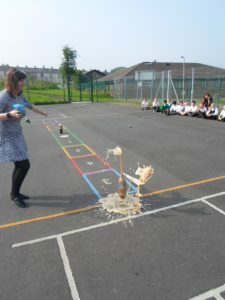 The last experiment was our favourite. We made a volcano, the children loved this and thouht back to year three when we made our own volcanoes! We had a wonderful afternoon and we are looking forward to doing it again next time! 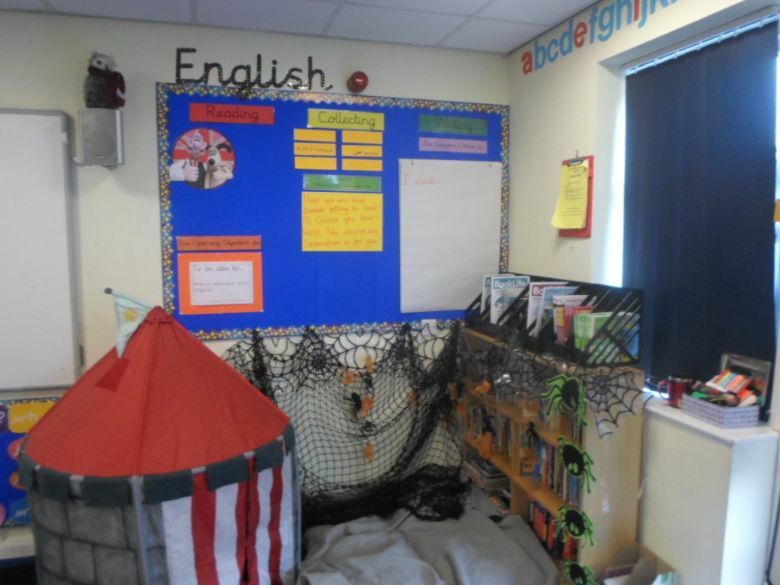 This half term our learning environment has changed again! 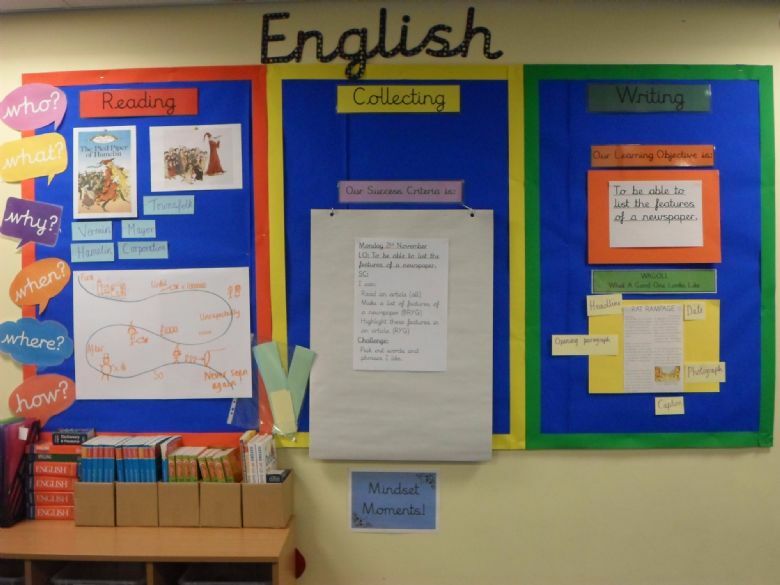 Our English working wall has moved to a bigger board, so we can share more ideas for our wonderful writing. 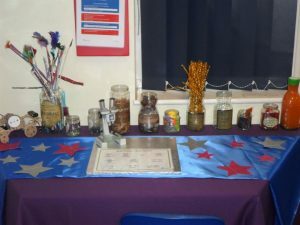 We also have an investigation corner that we have named ‘Dark Arts and Scientific Discoveries’ as part of our class theme. 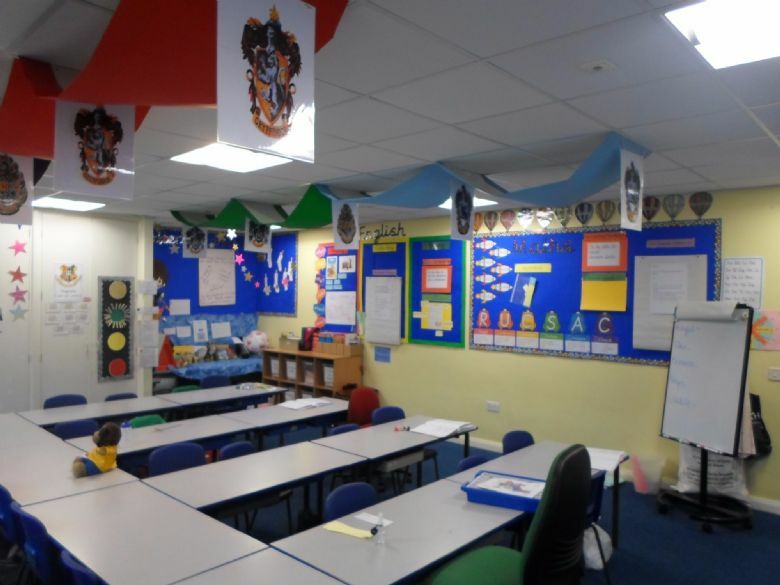 Hogwarts has adopted a Growth Mindset attitude in class, which is all about believing we can all learn and grow our intelligence. 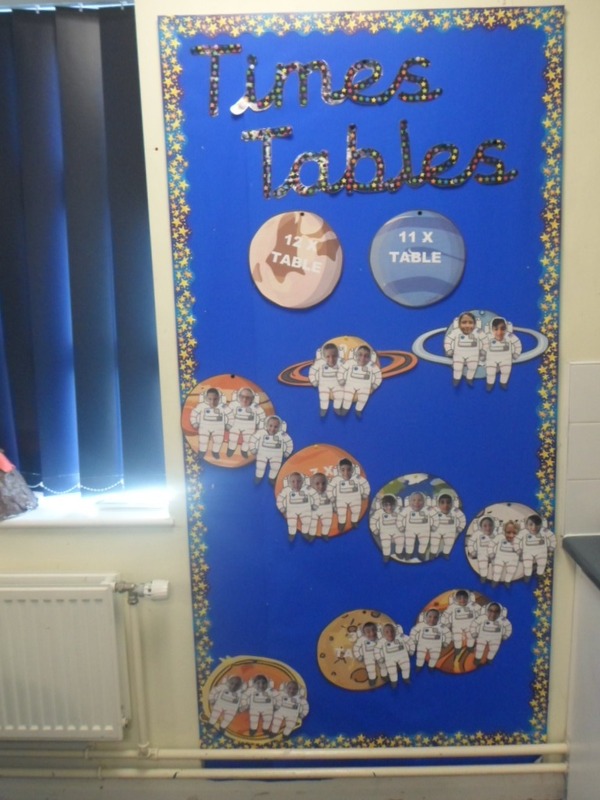 The children are taking on more challenges and taking more risks with our learning. 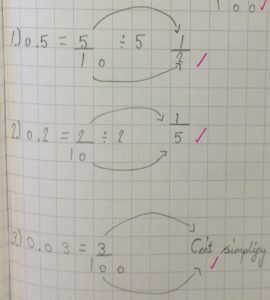 This is a very new approach in class, which we are all learning about together. 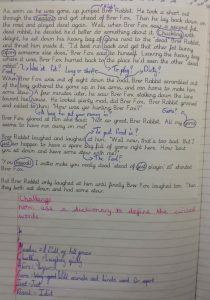 We have begun to learn the poem ‘The Pied Piper’ and we have sequenced this using Talk4Writing. We are moving onto newspaper writing and will become News Reporters from Hamelin. 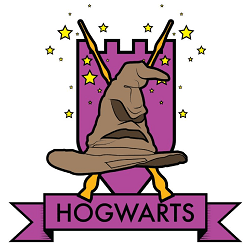 Hogwarts have been getting very excited about our new approach to spellings. They have spelling journals and new strategies to learn their spellings. 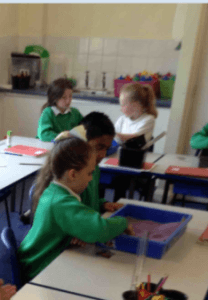 We have also use sand to help us remember how to spell the new words. This has begun to have an impact on learning in class and in a few months, I’m sure we will see a significant difference in the children’s spelling. 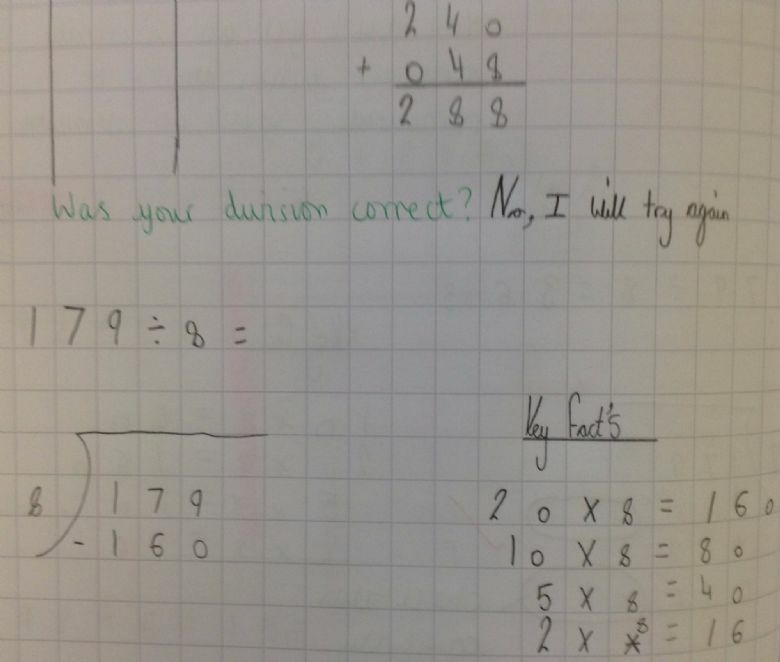 Following last half term, it is clear that the children need more learning opportunities for multiplication and division. 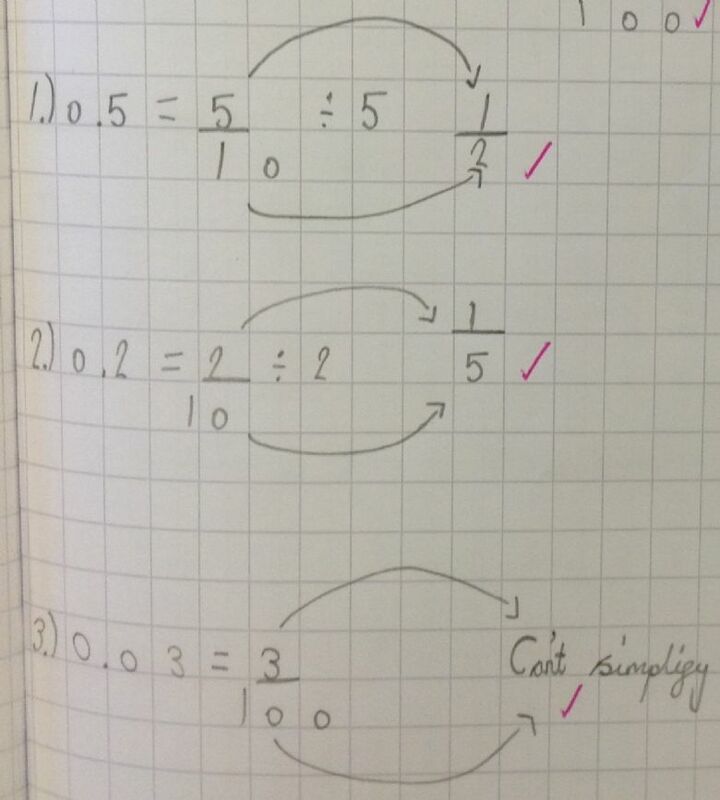 This half term we are focussing on using Grid Method for multiplication and Chunking for division. 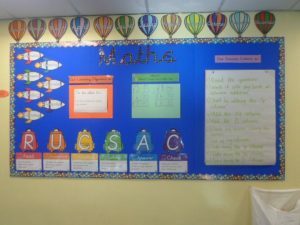 Although the children are finding it challenging, they are putting a huge amount of effort into it and the children are getting more and more confident. 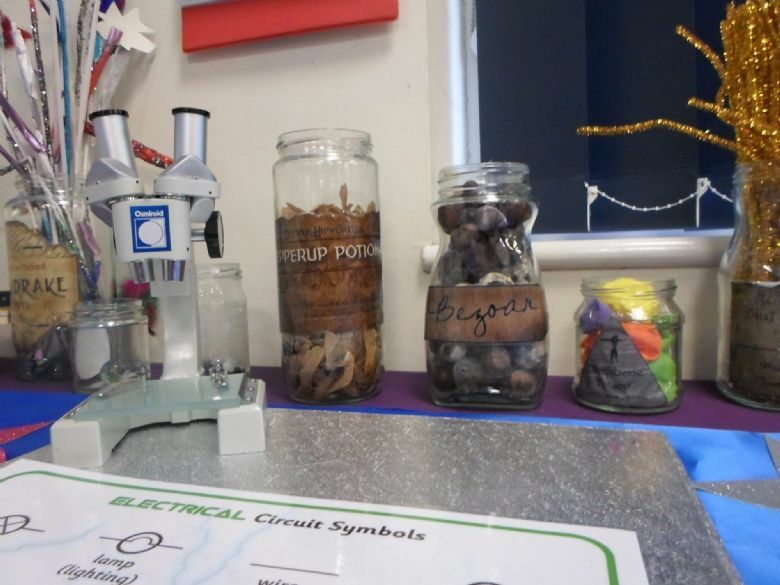 We are going to be learning all about electricity and we are linking this to our STEM project, which will start soon after Christmas. 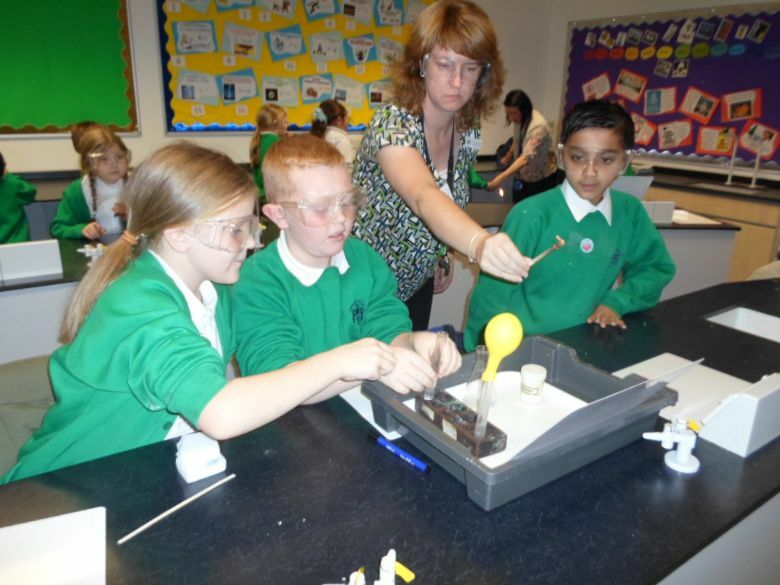 We are hopefully going to work alongside Mrs. Oakley, who is also our school governor, from Unity College again to give the children new experiences in science. We have had a very busy half term! 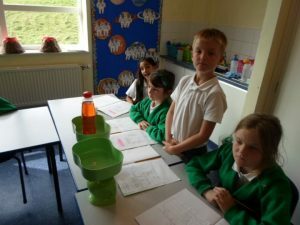 We have been putting in lots of effort during swimming and we are enjoying our final few weeks. 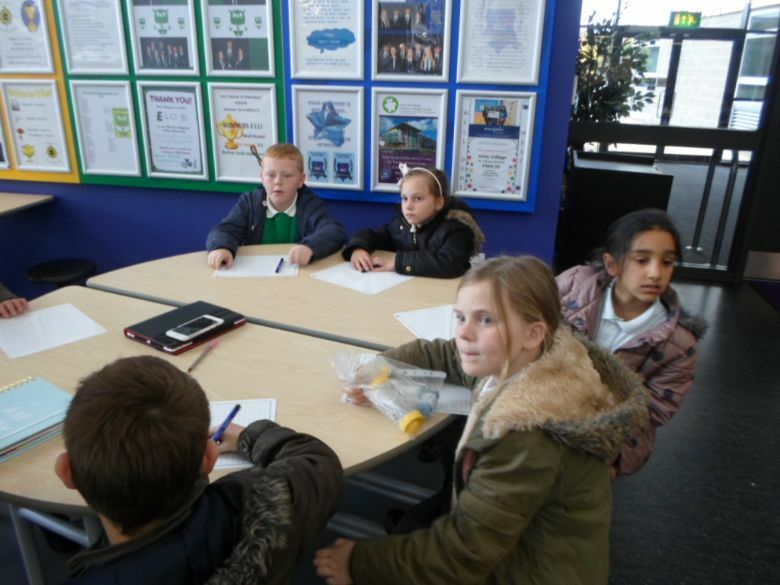 All the children have met their stage 2 certificate and are working towards their next achievements. We studied ‘The Art of Food’ last half term and produced some stunning pieces of artwork, as you can see. The children used oil pastels and shading to create a lifelike effect. 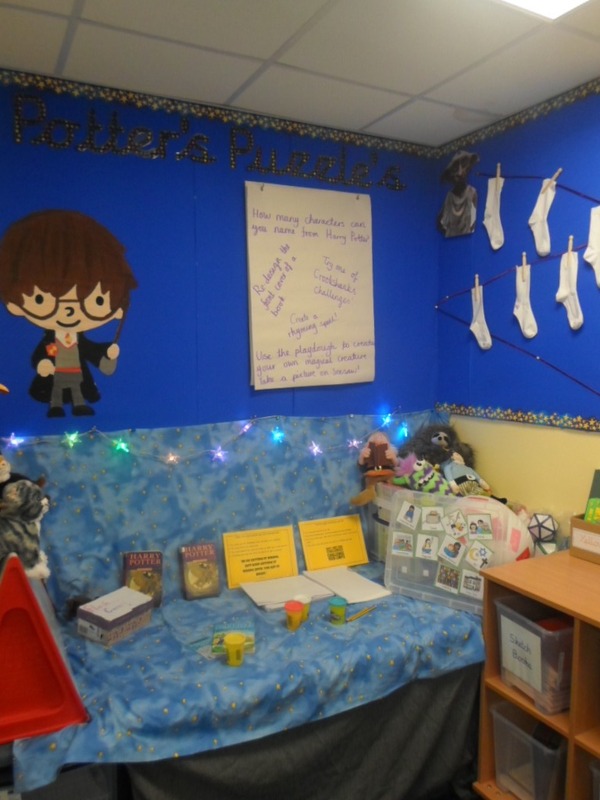 We have created our own mystery story based on Wallace and Gromit’s ‘A Matter of Loaf and Death.’ The children produced some great stories and used lots of wonderful vocabulary, proving that they are definitely year 4 writers! This half term we are practising for our Easter Production. 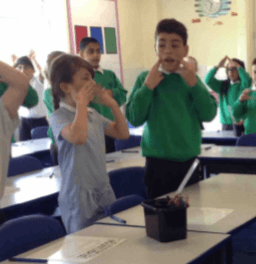 We have four songs to learn, which we have started and some of the children have a script with their lines on to learn at home as well as at school. 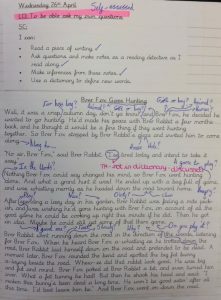 In English, we have looked at writing descriptive pieces of writing using slow writing as a technique. At present we have just finished writing a persuasive advert, based on an Innocent Orange Juice advert, which the children have loved watching and retelling using Talk4Writing. After this, we will be focussing on our Spelling, Punctuation and Grammar skills. In Topic, we are focussing on Map Skills. We are going to hold a Geography Morning, shared with Year 3 to take part in interactive activities. 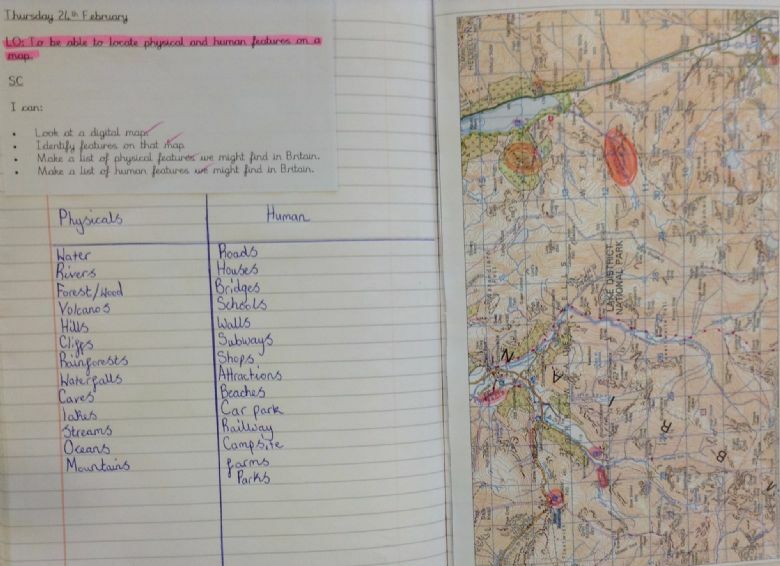 So far we have looked at teh difference between human features and physical features and identified these and highlighted them on a map. We also now have a better understanding of symbols, contour lines and how the key can be used to identify the various features. 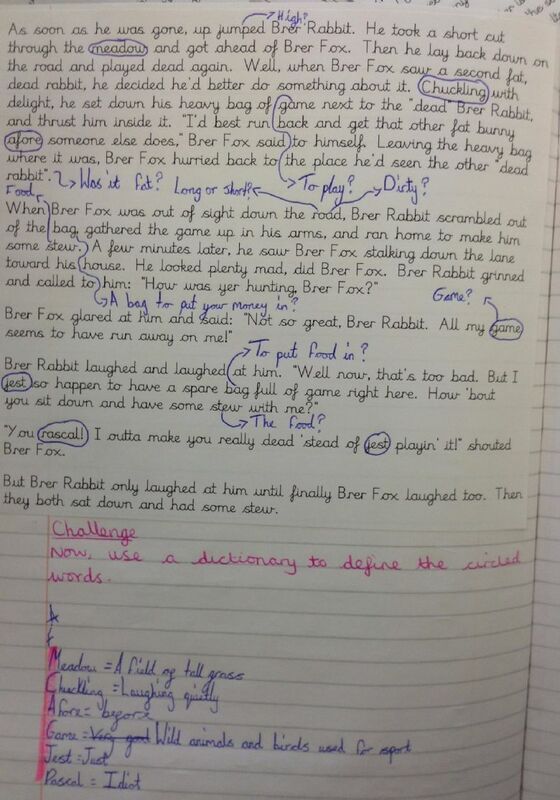 In English, this half term, we are focusing on Folk Tales, particularly the Brer Rabbit collection. The children will be using their skills as Reading Detectives to unpick the texts and ask their own questions. There are lots of new words in these tales and so the children will be practising using a dictionary and their own knowledge to define and understand these new words. 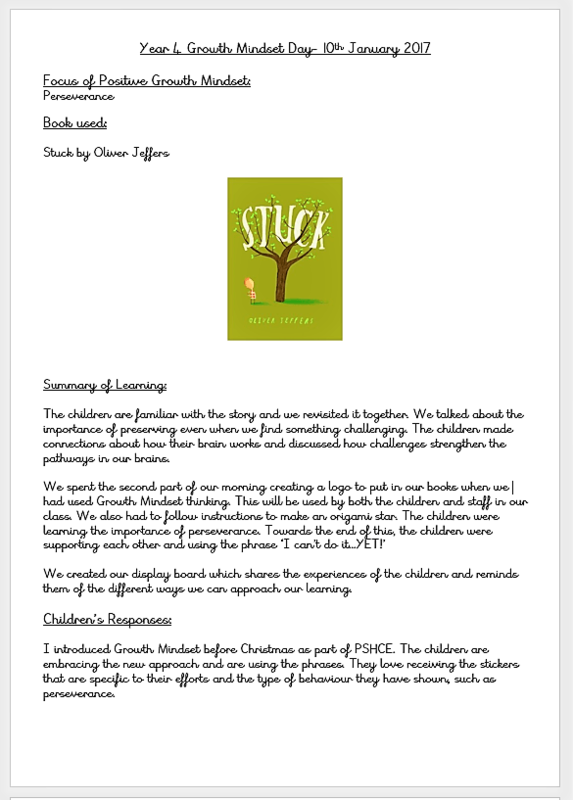 Prior to this we focused on persuasive texts. As part of our unit on persuasive texts we looked at a variety of texts and picked out key features and concentrated on the type of langauge that was being used. Thsi then enabled us to write our own in the form of letters. 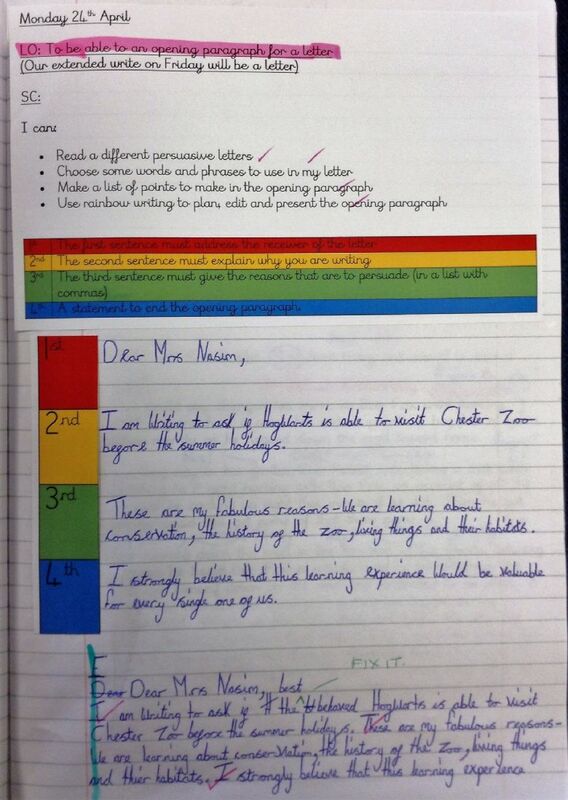 what wass great about this was that we could apply the principles of slow writing. 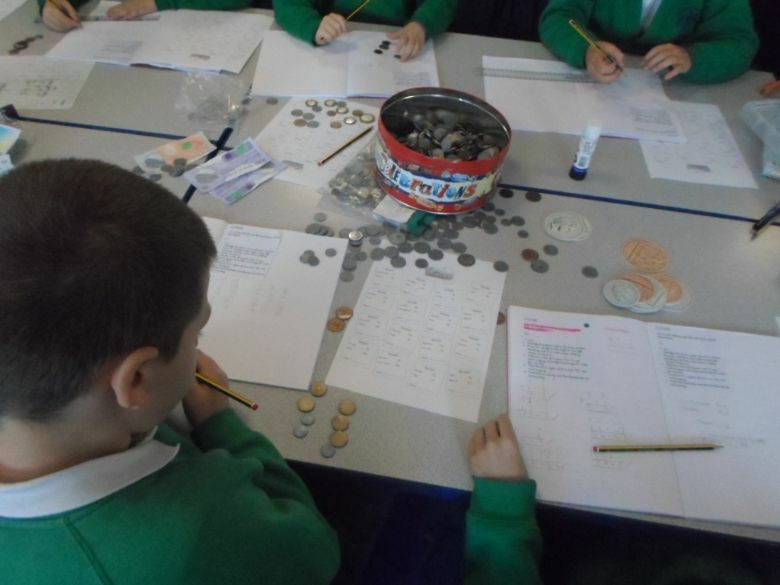 In Maths, we are consolidating our learning over the past two terms and applying our skills. 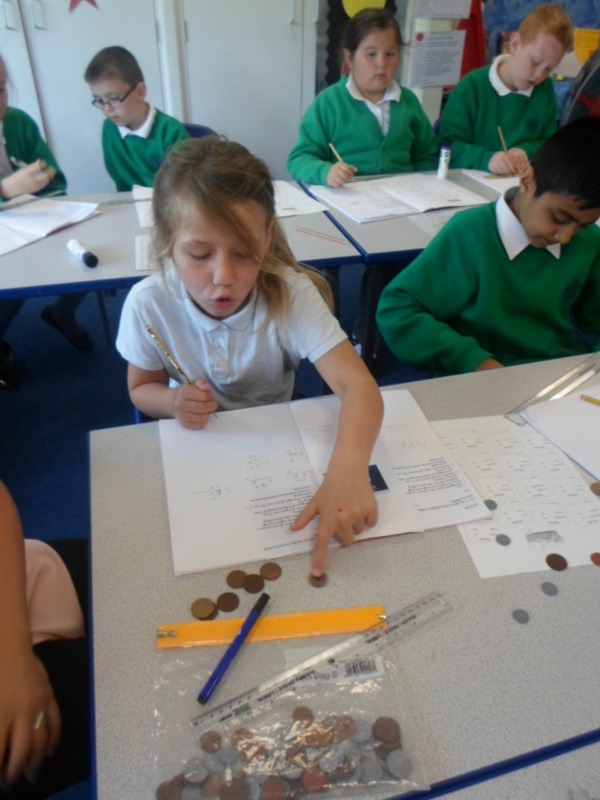 We are looking at negative numbers, number sequences, fractions, decimals and division as well as shape and measure. 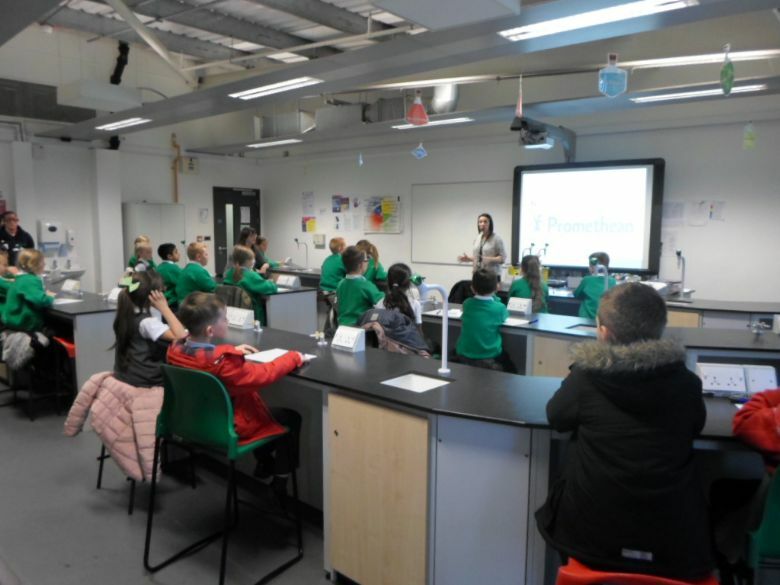 This half term we are continuing to look at Teeth and Digestion in our Science lessons and we will also look at living things and their habitats towards the end of the half term. 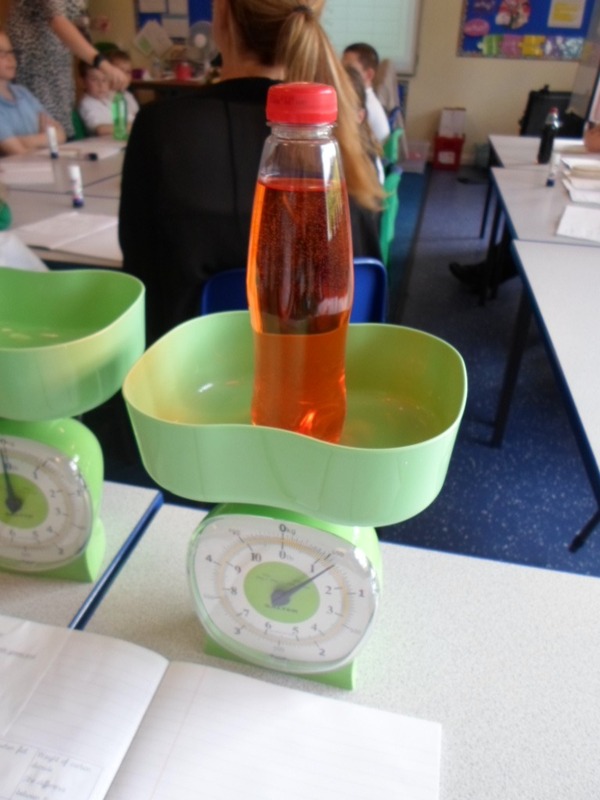 The children have carried out a fair test to look at how different liquids erode our teeth because of how much sugar is in them. 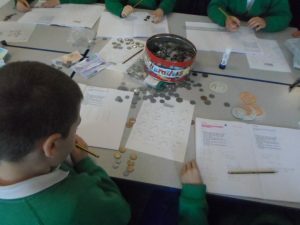 We have also looked at how to look after our teeth, which includes writing our own raps! In DT we will be designing our own food product, thinking about our teeth and digestion and also considering our learning on living things and their habitats. In topic this half term, we are focusing on conservation. 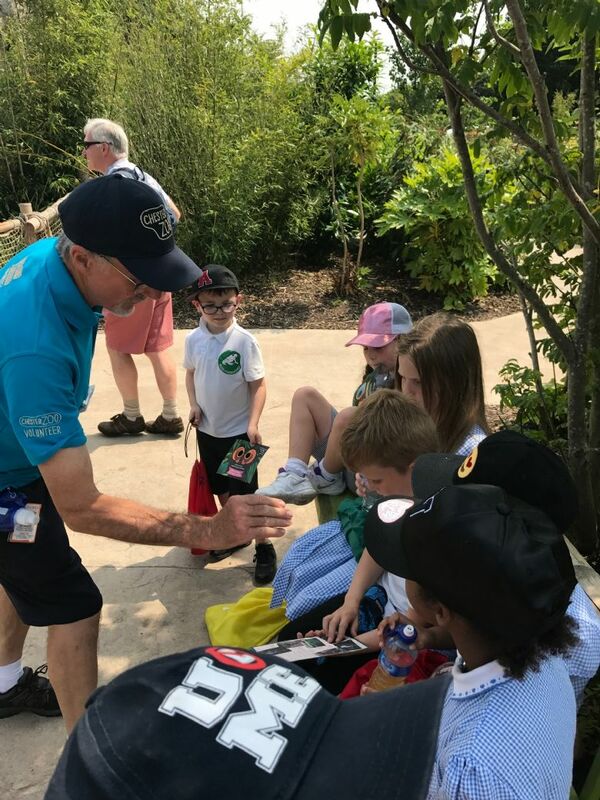 We will be looking at how zoos play a part in conserving wildlife and how we can help. We are looking at the history of Chester Zoo as it was the first zoo to have enclosures instead of cages in this country. The children have already begun their research on the past and the present, ready to compare! 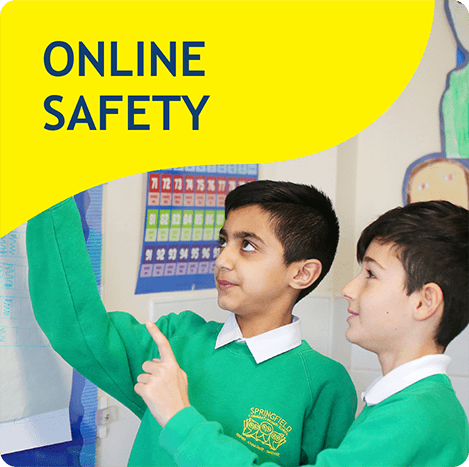 We have used our computing skills as ‘responsible digital citizens’ to research using safe and reliable web pages. 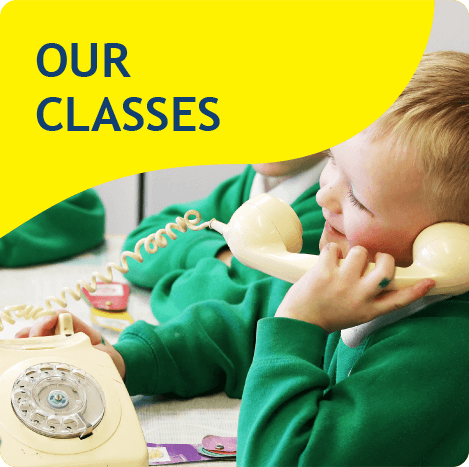 In Art, we will be looking at photographs. 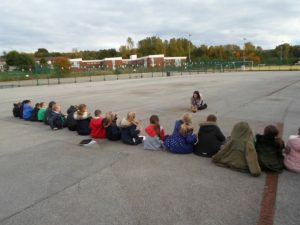 The children will study different photographers and talk about their styles, before taking some of their own pictures using cameras and iPad’s. This half term has been super busy! 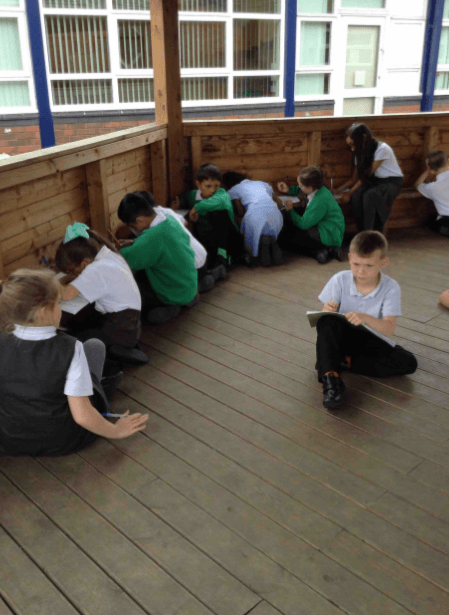 We have written some fantastic adventure stories, found out all about the Egyptians and visited Chester Zoo! 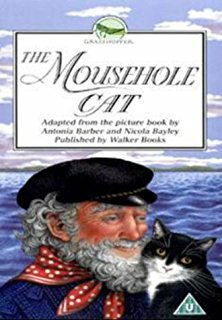 We have written an adventure story based on ‘The Mousehole Cat’ the children used reading detective strategies, Talk4Writing and slow writing to produce some fantastic pieces of writing. 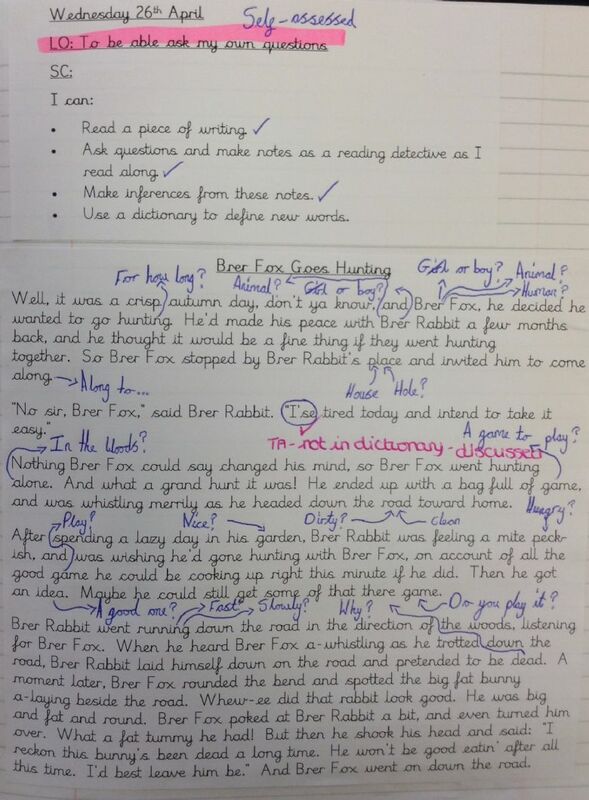 We have also focussed on using dictionaries and thesauruses to improve our writing during the ‘editing’ phase. 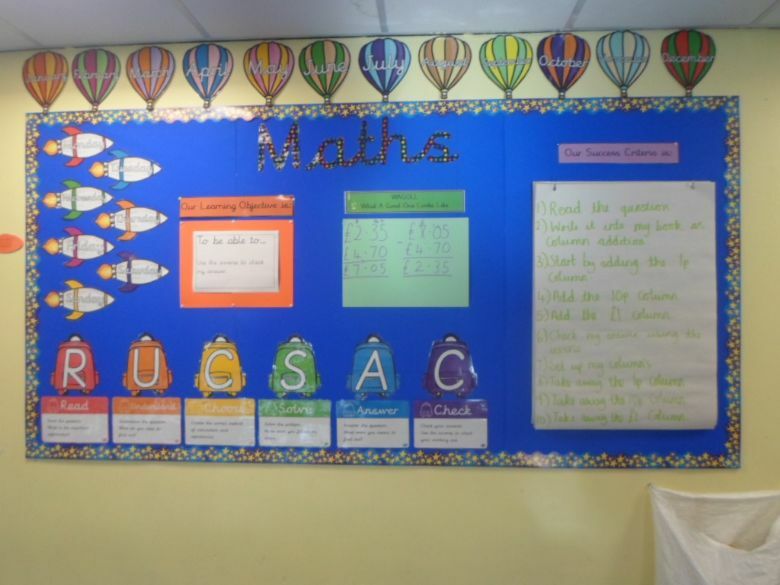 We have consolidated our learning from over the year, using methods such as short division, grid method, column addition and column subtraction to solve puzzles and problems. 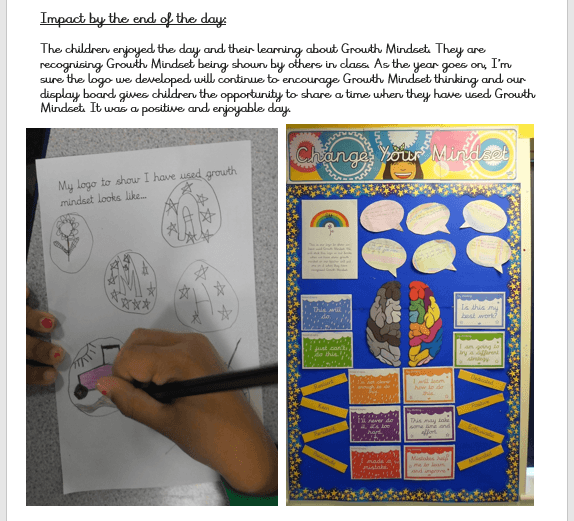 These have been a real challenge, but with a growth mindset, we have persevered and shown real determination in our learning. We have focussed on The Egyptians this half term. 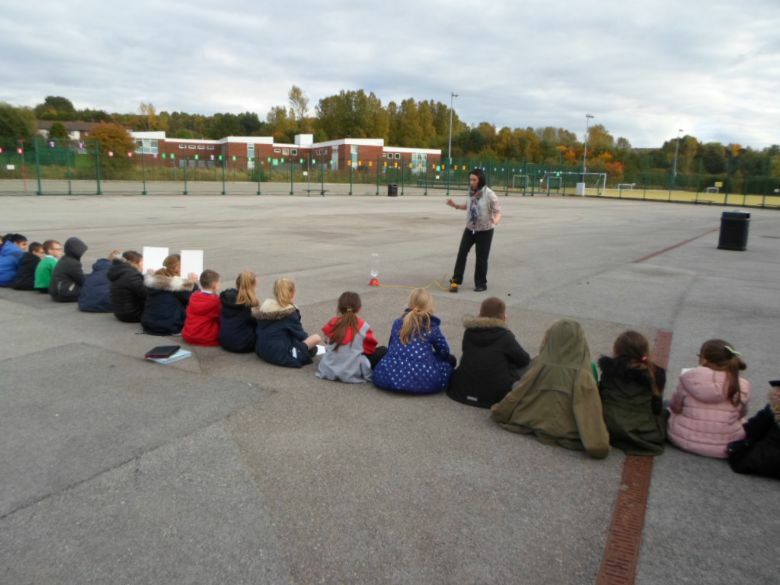 We have learnt all about the social triangle, Pharaoh’s, The Afterlife, The Nile and lots of other interesting facts about this civilisation. We have also taken part in the ‘Mummy’ challenge, which involved lots of toilet paper and lots of team work! This half term, we finished off looking at animals and their habitats in preparation for our exciting trip to the zoo and then we moved onto Sound. 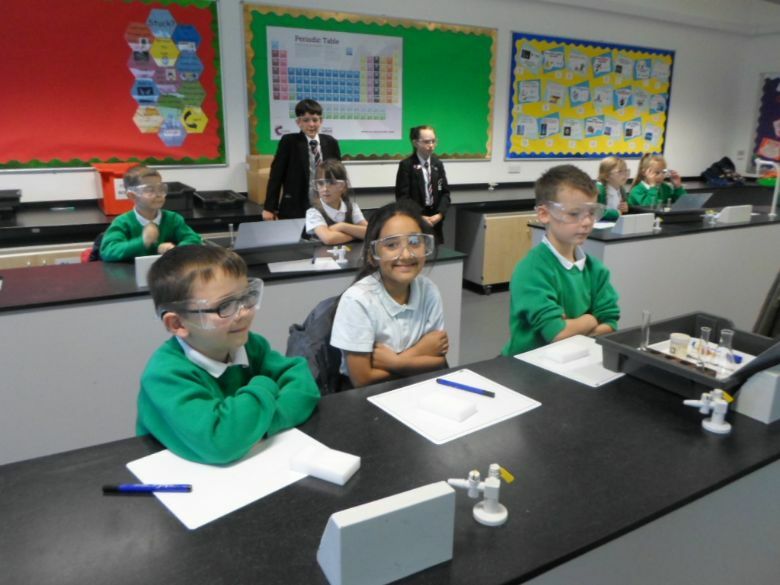 The children discovered that nowhere is truly silent, we played Keeper of the Keys and talked about how our ears can pick up on the slightest of sounds and used our Science investigation area to learn about how musical instruments work using vibrations. 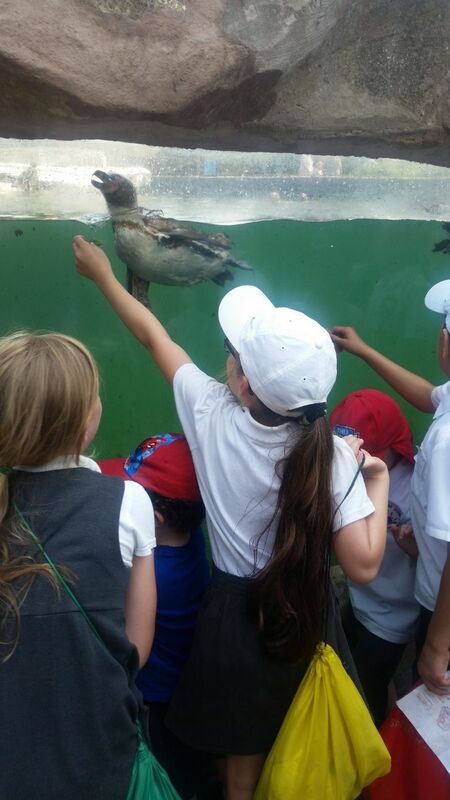 Our trip to Chester Zoo was fantastic! It was a long day, but worth it! We saw lots of animals, including a Cheetah, Lions, Elephants, Monkeys and we went in a bat cave! The children used their knowledge from our science unit ‘Animals and their Habitats’ to discuss what environments had to be created and the zoo keepers were very impressed with the vocabulary the children could use. The children were so well mannered and well behaved, they did our school very proud!